Adds a 20mm wide rail to your pistol to allow the fitting of Weaver / Picatinny mounts, so you can fit a tac light or laser sight. 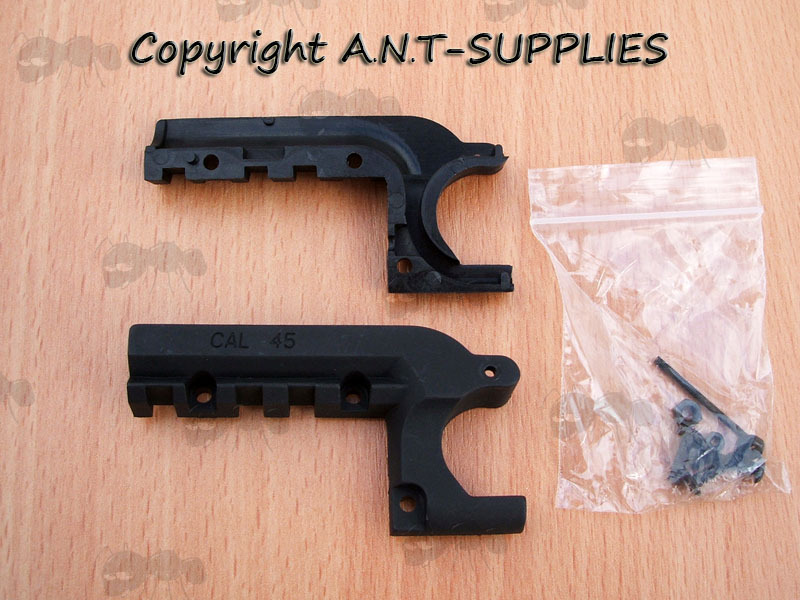 Also available ~ Universal pistol sight rails. Beretta 9mm cal M9 series. 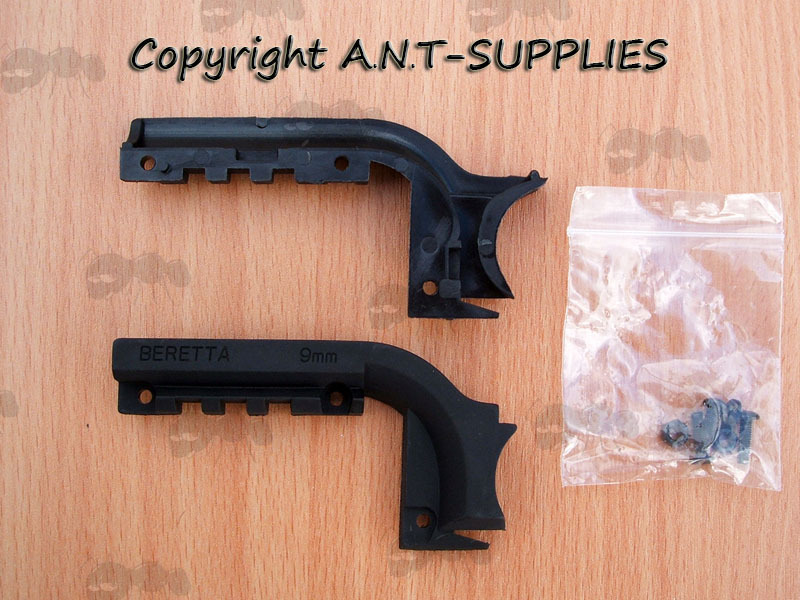 Should fit Marui, KSC and WA M9's. Colt .45 cal 1911 series. 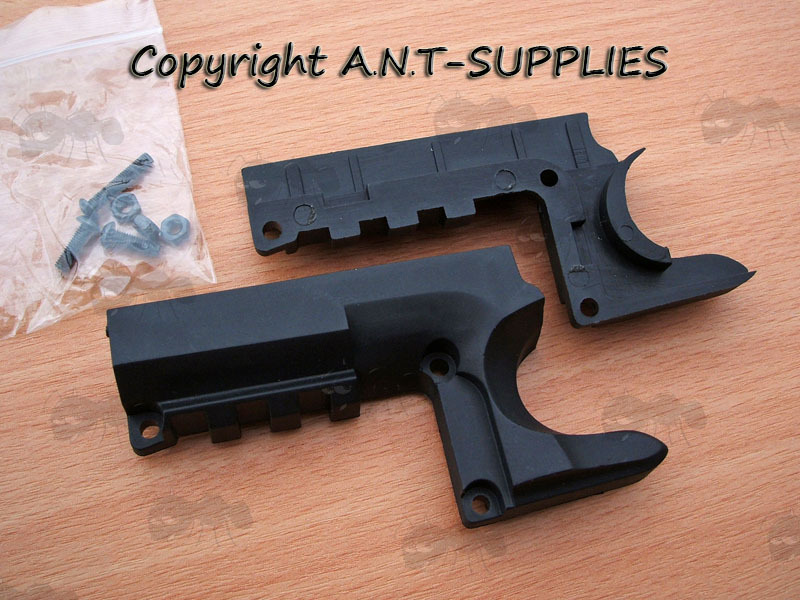 Should fit Marui and WA M1911's. Next > Sigma Pistol Mount. The 1911 rails fits the GSG TSC 1911. 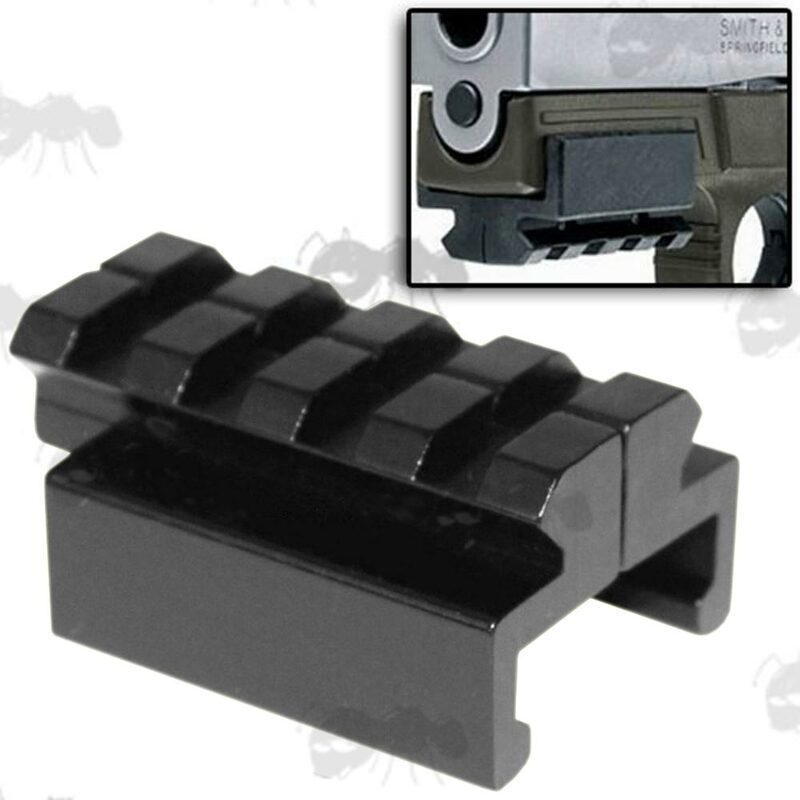 Smith & Wesson 9mm (.40) laser/torch mount for Sigma series. Clamp design with fixing bolts. 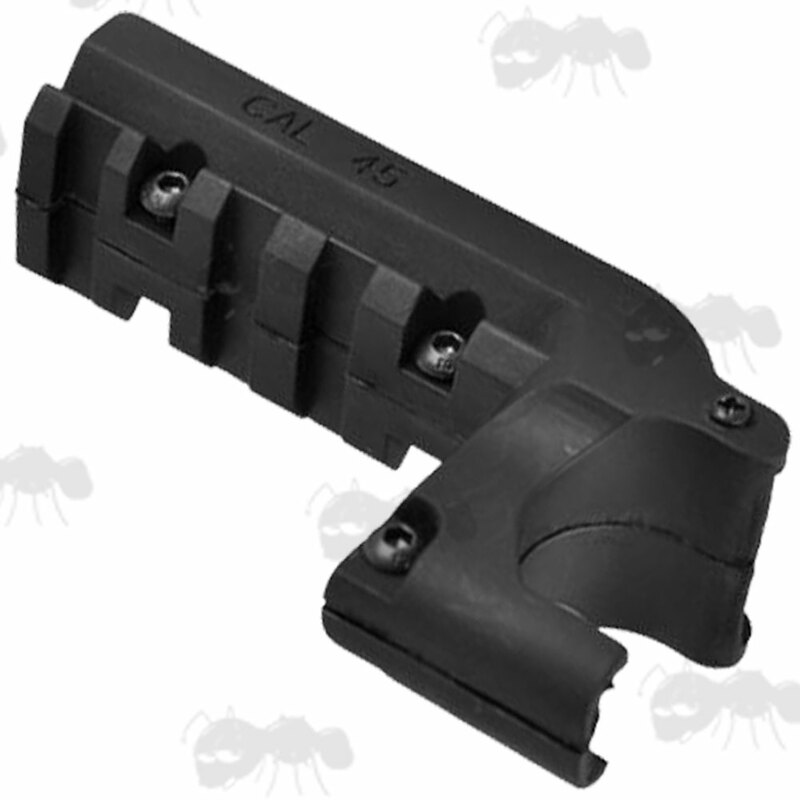 Rail length ~ 45mm (1.8 inch). 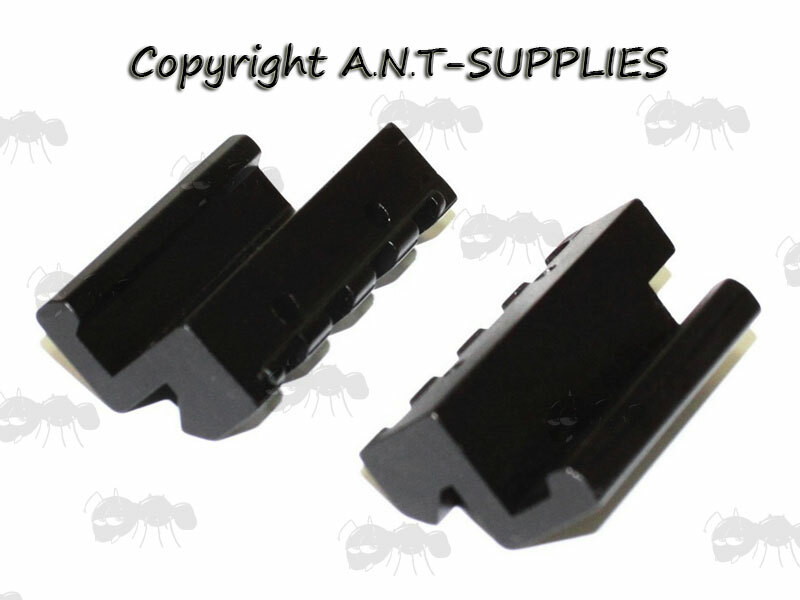 Mount length ~ 38mm (1.5 inch). Weight ~ 35g (1.2 ounce). Picatinny / weaver rail with 5 slots.